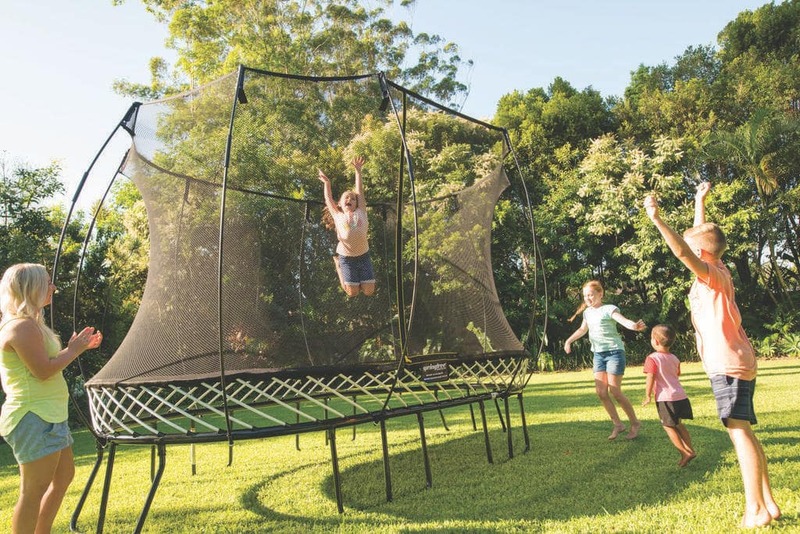 Our Large Oval Trampoline has a soft, responsive bounce designed for smaller families and narrow yards. With a FlexiNet safety enclosure designed to cushion jumpers and prevent falls, you won’t need to worry about the safety of your kids when it comes to playing and having fun! Why is our Large Oval Trampoline safer than other trampoline models? 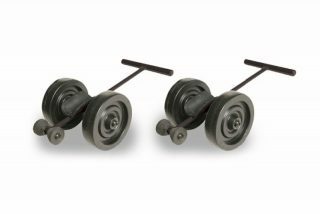 Springfree uses flexible rods beneath the jumping surface, so it provides a smooth bounce. Over 30 times more shock absorbent than a traditional trampoline’s safety pads. 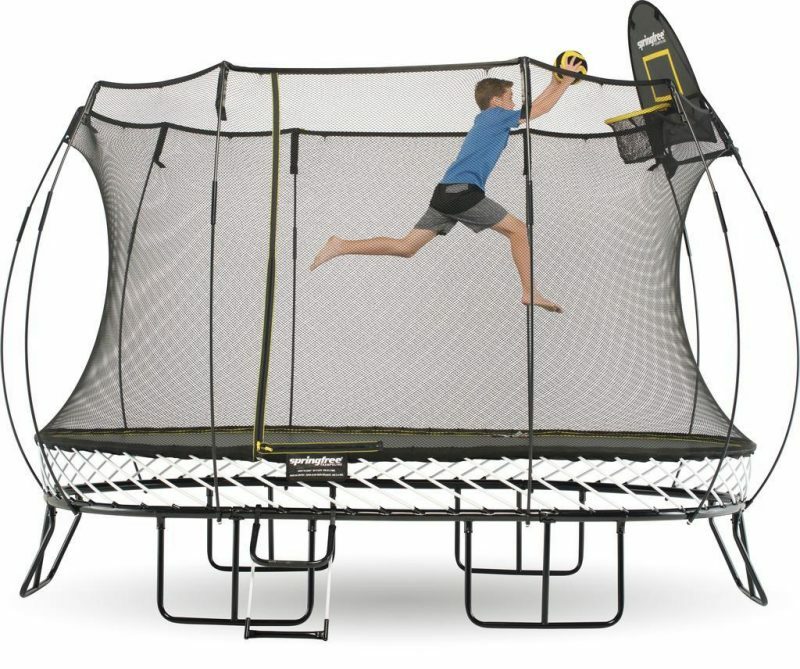 Springfree Trampoline’s frame is well beneath the jumping surface so you can not hit it. Springfree has flexible supports to cushion jumpers and prevent falls, so the safety enclosure directs jumpers back to the center keeping kid’s free from contact. The net is also zippered to ensure jumpers cannot fall through the opening. How does a Springfree Large Oval Trampoline work? Springfree is a soft-edge trampoline that uses strong, flexible fiberglass rods. The fiberglass rods replace the traditional metal springs all other trampolines have. Our safety enclosure keeps the jumper from falling off the trampoline. 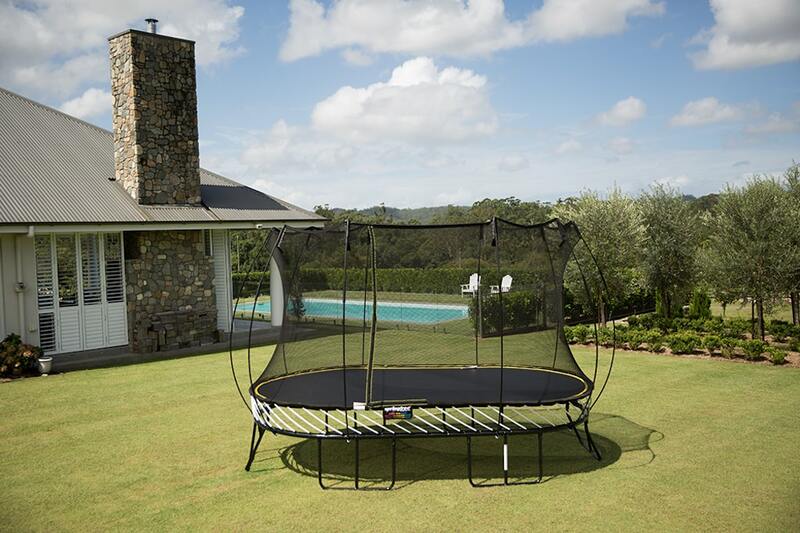 Is a Springfree Trampoline as bouncy as a traditional trampoline? Springfree provides a bounce like a traditional, spring-based trampoline. The feel of the bounce is different as Springfree has a smooth bounce. The smoother bounce is much gentler on knees and joints for the jumpers. Why doesn’t the Large Oval Trampoline have pads around the edge? Springfree does not need safety pads. The soft-edge itself has much more give in it than normal safety pads. The soft-edge functions like the padding used on Olympic standard trampolines. Traditional trampolines need safety pads to protect the jumper. Jumpers can fall on the steel frame, fall through or get caught in the springs. Safety tests show that these safety pads do not absorb enough impact. Springfree’s design does not need safety pads. We removed the springs and steel frame at the jumping level, so there is no need for safety pads. Other trampolines have enclosures – what is different about the Large Oval Trampoline enclosure? 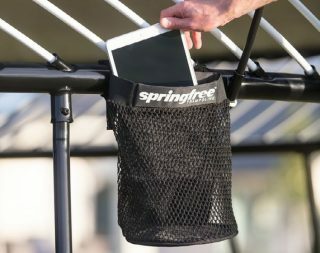 Springfree Trampoline’s FlexiNet enclosure is strong and flexible. It will cushion wayward jumpers and redirect them back to the center of the trampoline. Traditional trampolines may also have enclosures but they are not flexible. The rigid steel poles introduce another impact risk. Basic enclosures only stop the jumpers from falling off but end up landing on the springs and frame. Click here to learn more about Springfree Trampolines. Are you looking for a marked down large oval trampoline? View our FLOOR MODEL DISPLAY page.